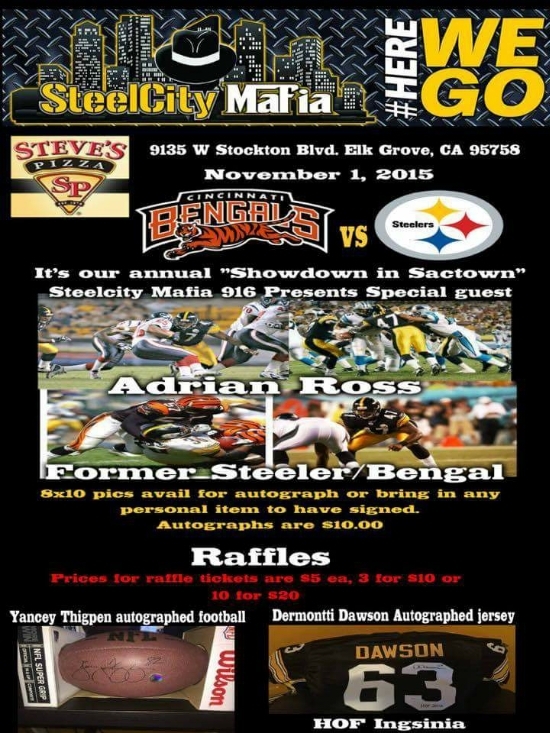 SCM: Bengals v. Steelers Watch Party..Presented by Boss Chinstrap | "IT'S A STEELERS WORLD"! If you are in the Sacramento, California area..or down enough to travel there, then I suggest you head to Elk Grove. Chris “Boss Chinstrap” Eger has it going on as usual at the Steel City Mafia hangout, Steve’s Pizza for the Bengals vs. Steelers matchup this Sunday, November 1st. So be there!